This is your standard 555 timer in DIP form. 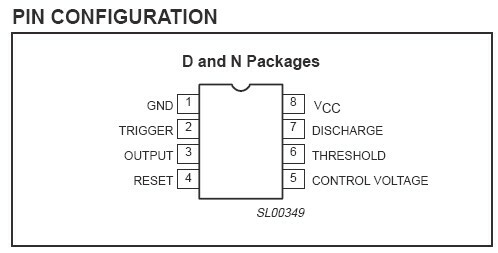 NE555P timer (555 timer), 8 pin DIP IC. Made by Texas Instruments Semiconductor.